It is acceptable to compare teal eyes to the sea. Teal eyes are very beautiful in and of themselves, like the sea, but certain makeup looks can really make your teal eyes stand out. How to make a beautiful makeup for Teal Eyes? ★ You do not need a large number of different colors. It is better to stick with two or three. ★ Yellow and green are not suitable for teal eyes as this leads to a flatter look. ★ Red is also not recommended as it can give the eyes a painful, inflamed appearance. All shades of brown, beige, and glowing pearl look harmonious with teal eyes. 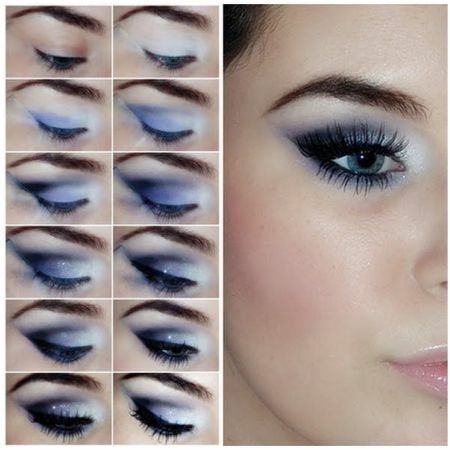 Purple, lilac, and lavender tones of eyeshadows look good as well. 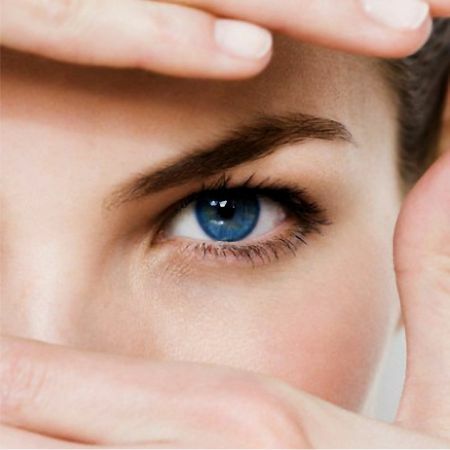 They will strengthen the natural color of your eyes and accentuate their brightness. Delicate, pale pink is suitable for daytime makeup, and bright pink can be used for evenings out. Black or plum shades should be saved for the evening as well. During the day they will look too gloomy. The main thing to keep in mind when choosing your eyeshadows is to not overdo it and to observe a measure. This rule applies to any makeup style. If you are in doubt, it is better to look for useful information and learn different techniques from a picture or video. Choose black, brown, or gray mascara; any other color mascara, in this case, will affect variegation. As for eyeliner, there is no such restriction. Your eyeliner can be whatever color you deem appropriate. Like gray eyes, teal eyes are also different. Eye makeup for teal eyes is an individual matter. What looks good in one case may not be very suitable in the next. Hair color and skin tone should be taken into account as well. Over time you will understand what does and does not suit you. And you will be able to expertly apply your eye makeup and turn yourself into a real beauty. We wish you good luck in this endeavor! Like the article «Eye Makeup for Teal Eyes»? Share it with friends!